Used SP1-2524-1.2 Butler 25-1/2" Automatic Splicer for sale!!! - High Performance Packaging Used SP1-2524-1.2 Butler 25-1/2" Automatic Splicer parts equipment for sale!!! We have a variety of used packaging machinery parts for sale!! This Used SP1-2524-1.2 Butler 25-1/2" Automatic Splicer is a great parts machine. Used SP1-2524-1.2 Butler 25-1/2" Automatic Splicer for sale!!! Used SP1-2524-1.2 Butler 25-1/2" Automatic Splicer parts equipment for sale!!! 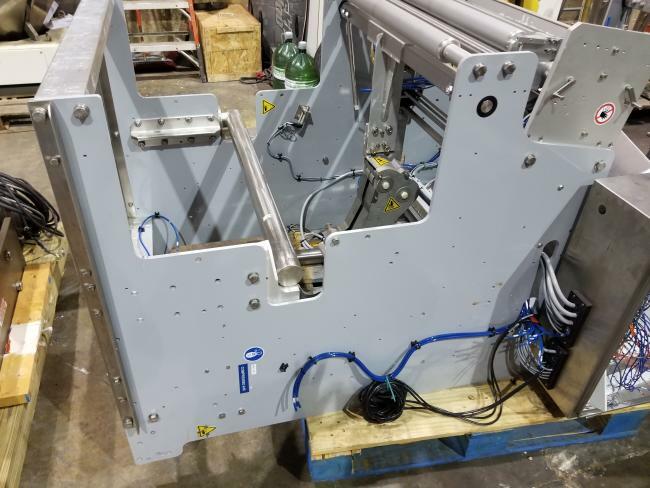 We have a variety of used packaging machinery parts for sale!! This Used SP1-2524-1.2 Butler 25-1/2" Automatic Splicer is a great parts machine.